Coming back to this island was never remote, actually Bohol in itself can never be ignored, you will want to come again and again. Far from being flashy and ostentatious, its simplicity and serenity always draws one who seeks serenity in bucolic environment. After 16 months I’m back to explore once more its colorful depths together with my favorite dive buddy, nothing could be more interesting to kickstart dive pursuits this year with a new site to explore for him. I could smell the sea waters as I cruise to Tagbilaran from Cebu to catch up the schedule for Balicasag, it was getting late as the Oceanjet departure was delayed for 30 minutes. Other guests were already waiting when I got to the diveshop which I found unpleasant, I don’t want to be waited upon. The divemaster was considerate enough and I was grateful. All of us six divers (all other four were foreigners) piled up on the speedboat having each our own compartments, the sight of blue skies and blue waters was comforting enough to set the tone for the dives. Our first descent was at Divers Haven, DM Rene briefed us to limit depth at 25 meters, I was hoping to encounter again the giant napoleon wrasses. We descend to sandy slope where tropical fishes abound – angels, banner, sergeants, cardinals, sweetlips, fusiliers, butterfly fish, damsels, chromis, anthias, clown fish and more. 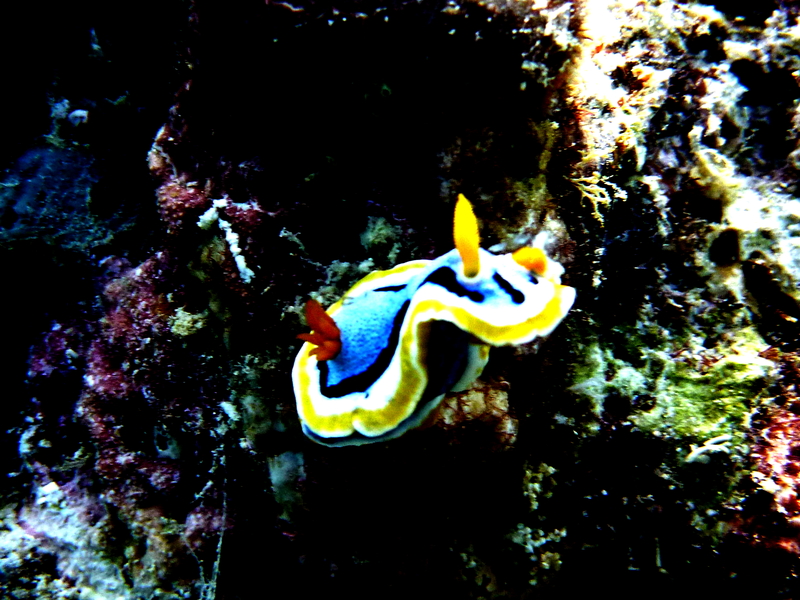 Few macros – sea slug, nudi, coral crab and cleaner shrimp were great finds too. Then a group of jacks and green sea turtle graced us, with Angel chasing it again for photos! The humphead wrasse was nowhere in sight. We had our safety stop on a wide coral area decorated with more juveniles, feather star, hydroids and other invertebrates – such a colorful sight! Our DM lingered on the corals gathering something. We learned later that snails locally called as “tapok-tapok” is eating away the corals just like what COT is doing. We ascend after 61 minutes with air still at 100 bars. Our boat moved towards the west side of the island near the sanctuary for our surface interval, about 100 meters away from the beach, its white sands gleaming from the hot sun. The tiny island is a sight to behold! Back rolling again for our last descent, we need to limit our depth at 25 meters again and to have our left shoulder to the wall. We got to the wall and drift with the mild current until we got to overhangs with variety of large sea fans in different colors. Spend some time inspecting some of the crevices for macros. Few trevallys and groupers passed obscurely but not the giant wrasse that I wanted to see again. Tropical fishes abound – trgers, trumpet, lizardfish, scorpionfish, bannerfish, angels, damsels, cardinals,anthias and more. We found a large turtle with a remora on its back near the corals but swam away fast when it noticed us near. DM Rene summoned as we got to the coral area as he found the snails, indeed the corals went gray. The tapok-tapok colored pinkish-brown gathered in group fed from corals leaving them dead, we gathered too handfuls of the disastrous snails. We ascend after 66 minutes still having 60 bars of air. 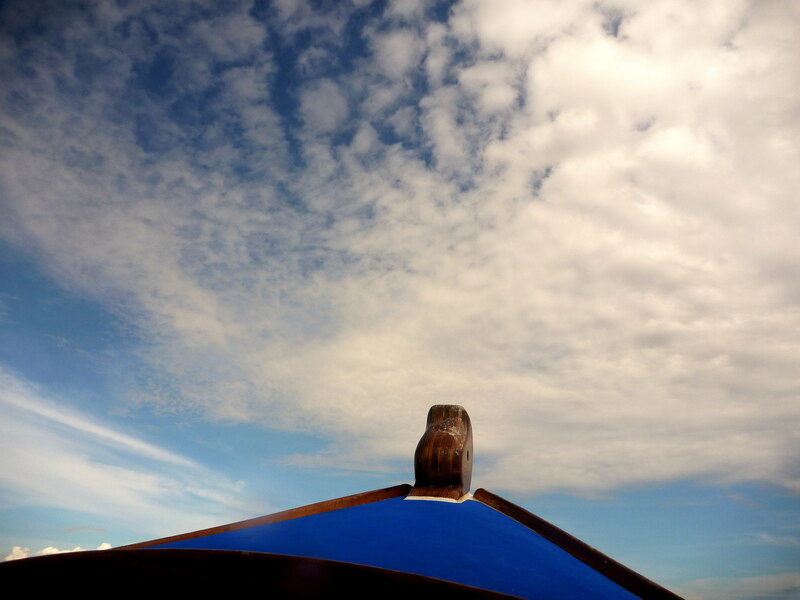 The blue skies, wisps of cottony clouds, blue waters and the mild afternoon sun as we cruised back to Panglao was comforting, the sea air in my lungs and skin felt good. We only had four hours in the island, two hours of which in its depths but the marine encounters was calming enough, I wish I could have stayed longer. The adage is true, sometimes one needs to fly and cruise the seas to savor rare mystical moments so brief it seemed just fantasy. Indeed my recent dive at Balicasag Island was purely whimsical, but never gibberish at all, it was another moment to treasure with my favorite dive buddy. 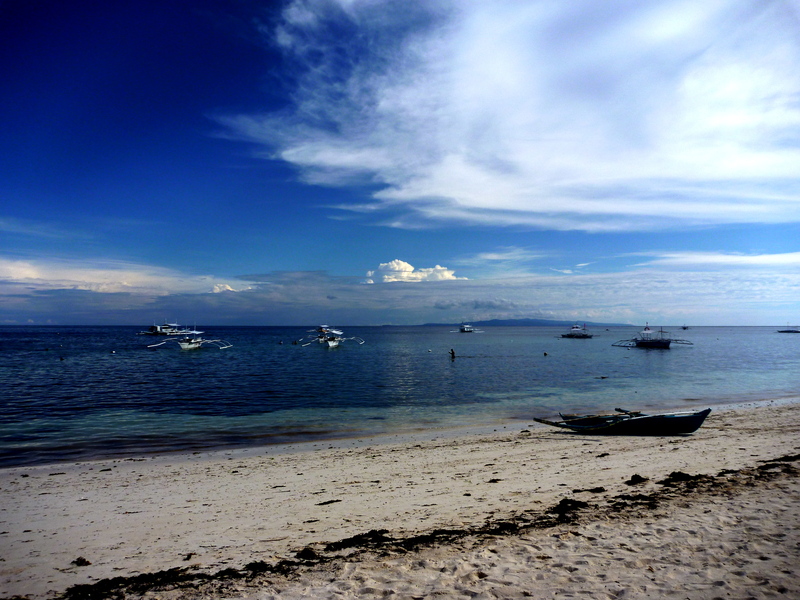 During a recent quick trip to Panglao, Bohol – to freshen up gills and to kickstart for this year’s dive pursuits. 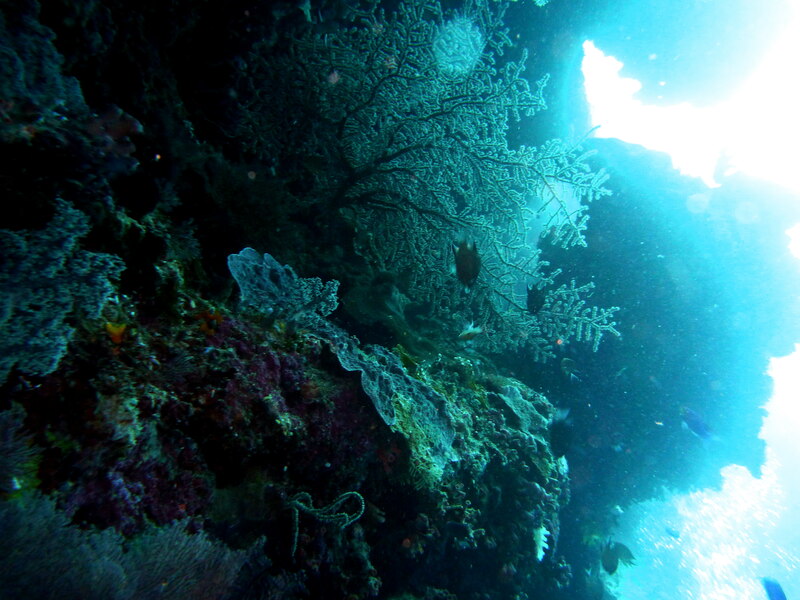 We tried Divers’ Haven and Marine Sanctuary of Balicasag, it didn’t disappoint us. The heart of the island is literally filled with interesting creatures! Being a water person, diving and snorkeling most often is my agenda in trips and being around in search for interesting sites, I can name five which I recommend worthy to explore. Although my hunt is still on-going I’m pretty sure there are still sites to discover around the country. I have snorkeled in these spots, and I wasn’t disappointed. Aside of the rich marine life and idyllic setting, all these spots are off beaten. So getting there is in itself challenging making the journey more enthralling, or would I say truly enchanting. 5. Lusong Gunboat. 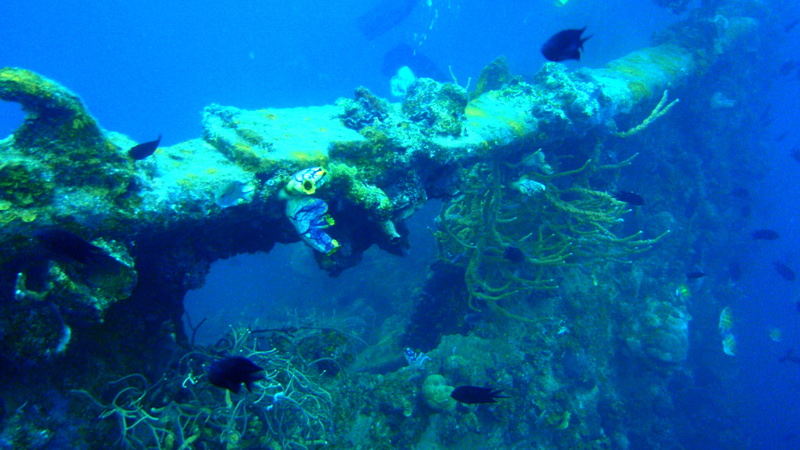 Located in Coron Bay in Lusong Island, this shallow wreck is one of the large concentration of WW II wrecks in the area. Lying from the surface about 10 meters, the wreck is very visible and watching the varied colorful marine life surrounding the area is wonderful. Most wrecks are too deep for snorkel, so having one this shallow is too interesting for non-divers. 4. Marine Sanctuary, Balicasag Island. Off the captivating Panglao Island in Bohol, it’s an eco-tourism destination and maintained by Philippine Tourism Authority (PTA), it’s a marine life sanctuary. PTA and Philippine Navy jointly promote the island for underwater sports and as model for environmental and ecological preservation. It’s about 45 minutes by pumpboat from Alona Beach. It’s ideal for snorkeling, docking at fish sanctuary, feeding fish is wonderful as fish go near you up close, viewing deep down under with corals, sponges, star fishes, colorful fishes amidst deep blue waters is so breathtaking! I always believe that there’s much beauty deep down, more than what we see in the dry lands. 3. 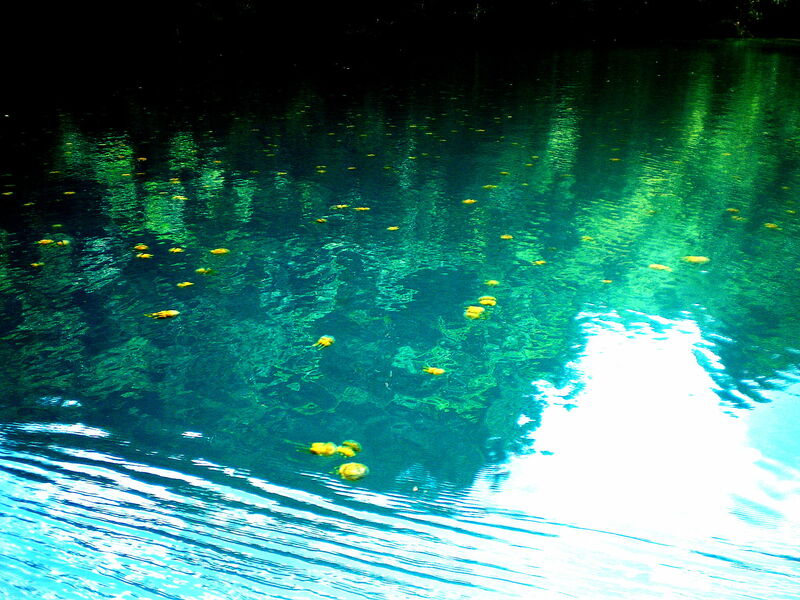 Enchanted River. 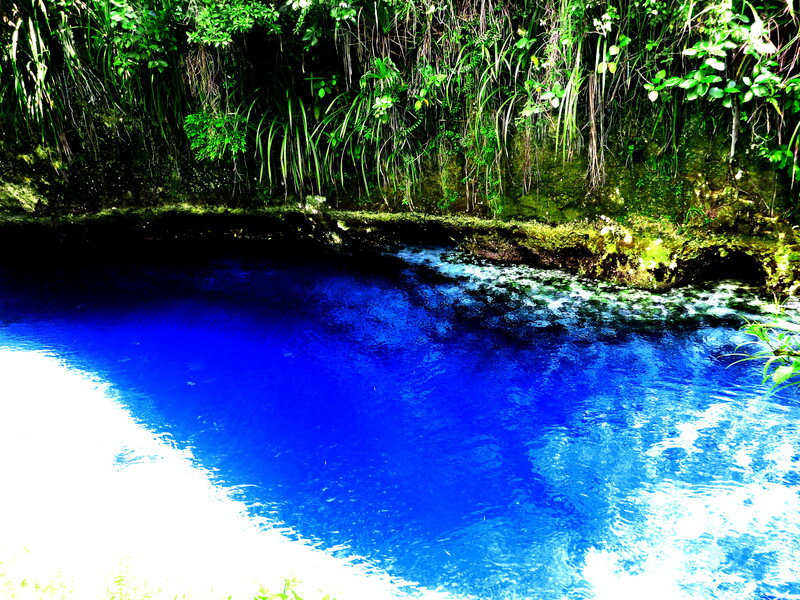 This blue river is situated in Hinatuan, Surigao Sur and going there is such a long trip. But just watching the refreshing blue waters is truly enchanting. The marine life consists of snappers, sweet lips and rabbit fish – viewing them through your goggles or mask surrounded by its blue waters can be too mesmerizing, wondering such specie thrive in a river. They have grown in size and number and have claimed the blue waters as their home. Feeding them is an added attraction, at 12:00 noon as if they have clocks, they all float-up for their feeds. Wonderful sight! Rich fish life in Shimizu! 2. Shimizu Island. One of the captivating islets we hopped on in El Nido, its just one of those idyllic islands with pristine white beach with a backdrop of limestone cliffs. 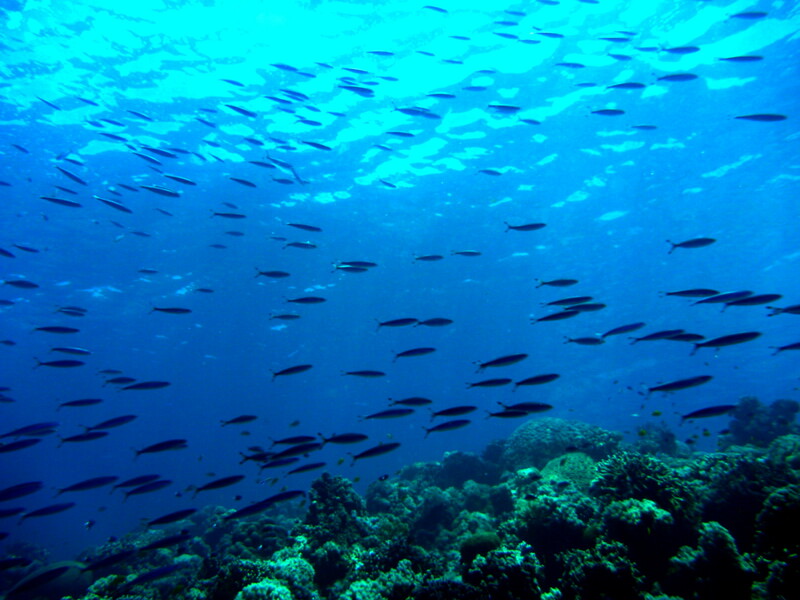 Just stepping into the shallow waters, you can already catch glimpse of large herd of tropical fish swarming the waters. Shallow as one meter- sergeants, wrasses, damsels and other tropical species come near, so near your hand as you feed them. I have never such encounter with fishes so tame, they are all around swimming in swarm. So lovely! 1. Tojoman Lagoon. A hidden paradise! 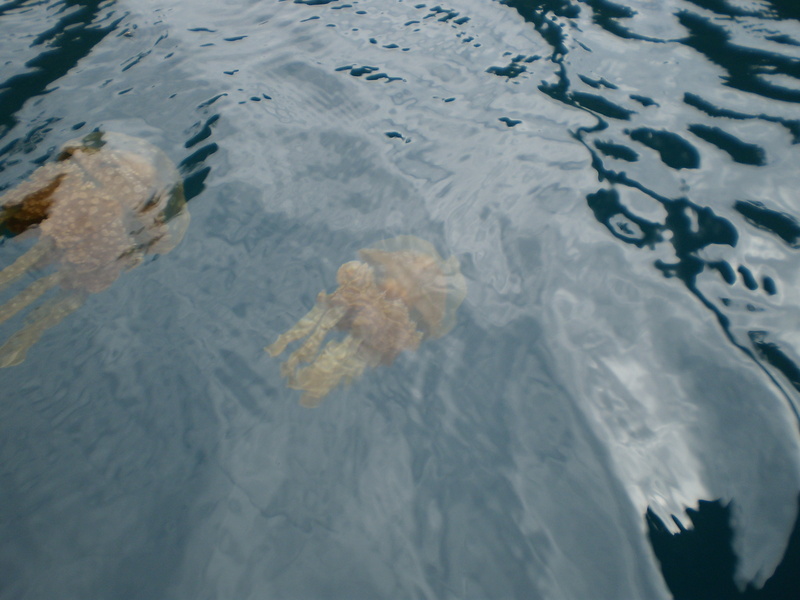 Nothing could be more wonderful than swimming with the stingless jellyfish not just in tens but millions of them. Those brown jellies in varied sizes swimming and pulsating, so near you. So incredible indeed! So friendly, one can touch. swim and play with these slimy brown creatures.. So serene, so beautiful. The lagoon is secretly tucked in Bucas Grande islands in Surigao Norte, comparable if not at par with Jellyfish Lagoon in Palau. The above sites are truly worthy for a visit, so give in to your adventurous spirit and have a wonderful aqua trip. Don’t forget your mask, snorkel and sunscreen, its real hot out there! Arriving very early in Tagbilaran, I have so much time to spare. How ironic when there’s so much to do back at work, here I am wandering in the city square! After attending mass at the cathedral, I crossed to the plaza watching a large flock of doves on the ground, feeling like I’m in Hyde Park. Though Panglao town can be reached by 20 -25 minutes by car, I arrived at my lodgings near Alona Beach after an hour through a mini-bus and trycicle rides. The staff of JJ Alona was kind enough to guide me as I went to the bustling district of Alona Beach. Though I was aiming to go direct to Sierra Madre Divers, she insisted I must try Tropical Divers (previously Pro-Safari Divers) which was recommended by DM Geom. I believe it was an excellent dive operator but it was bit pricey. The Danish manager Karl, was also friendly who promised to organize a Balicasag trip with me if I should decide. I tried to ask for D4 strap but not available, though he assured to get one if I stay longer in the island. Anyhow, we left for Sierra Madre to register, glad that they have two boats for Balicasag the next day. After asking for the DM assigned to me (DM Bart will be with the chinese OW students in another boat) and departure time, we walked back to JJ Alona but not without passing the bustling beach. I remembered Boracay and Puerto Galera! Despite the rain, the sun shone brightly the next morning. Though I arrived earlier as expected, the shop staff was already on their toes, and the place was filled with guests. I was joined with local government staff of Carmen, Bohol who was friendly and generous to me. They found it surprising that I am alone. We cruised for about 20 minutes until we moored in one of the bouys floating about 100 metres from the island’s shore. Our first descent was at Black Forest, I was hoping to encounter again the giant napoleon wrasses like last time. Since the group were new divers and it took awhile for their preparation, I requested my dive guide to descend ahead. Now I know, that’s what other divers felt when I was yet a newbie – it felt like forever to wait . We descend on sandy ground, with corals and tropical fishes abound. There was current, so we drifted along until we got into a wall decorated with soft and hard corals. 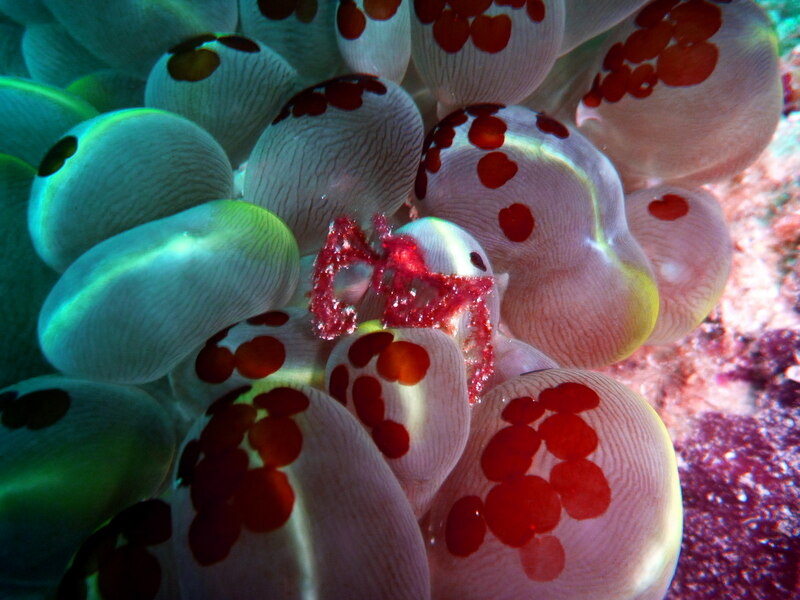 There were invertebrates – colourful nudis, cleaner shrimp, and anemone crab. A green turtle graced us but was too shy, it fled away as soon as it noticed us around. There was variety of tropical fishes hovering on corals, sponges and anemones. Although the marine life was still active, I noticed there wasn’t much larger species that I encountered. I hope they were just at rest somewhere around and have not totally left Black Forest. After 50 minutes I ascend with 80 bars of air. Glinting my eyes with the scorching heat, I was wishing to once again walk on the white sands on the island but the boat moored far for the interval. At past 12 nooon, we had our next descent at Turtle Point. I was hoping I would find turtles but for the whole 59 minutes of my bottom time, there was none! I stayed behind again from other divers together with my dive guide, searching for macros as there was no pelagics around. 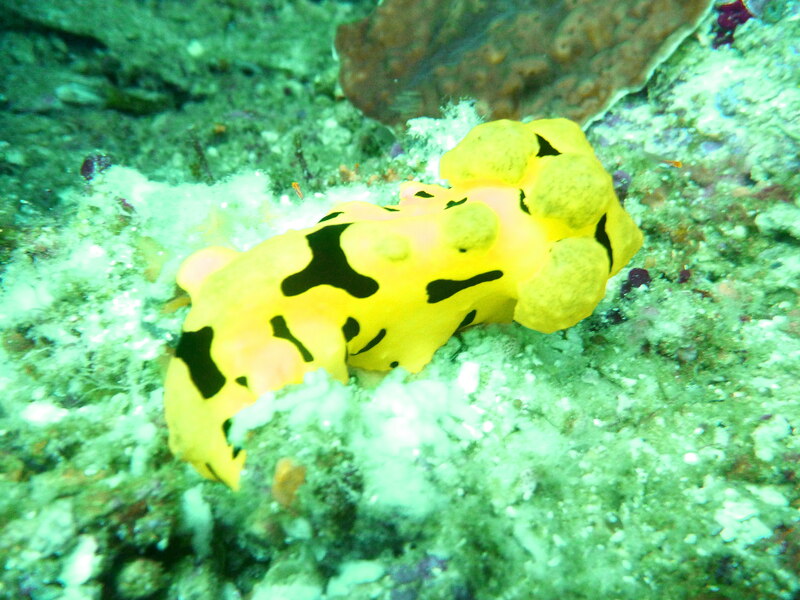 There were at least four nudi species I spotted, scorpionfish, lionfish and other tropical fishes. There was a moray eel gawking at me but my cam failed. It was filled with soft and hard corals, crinoid, sponges and anemones. 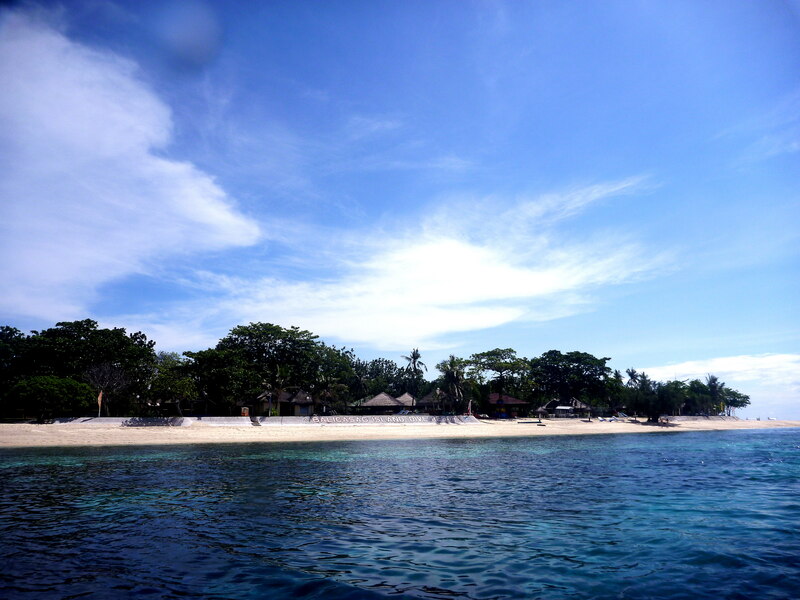 Normally, there were only two dives in the island, so we cruised back to Alona Beach after we surfaced past 1pm. This made me to my 100th dive! moray eel gawking at me! Again, making most of my long travel, my time and expenses, I requested for third dive even just nearby, I was lone – other divers have called it a day taking their late leisure lunch sat nearby resto. Quarter before four o’clock, we sped our way to Kalipayan for my last descent. 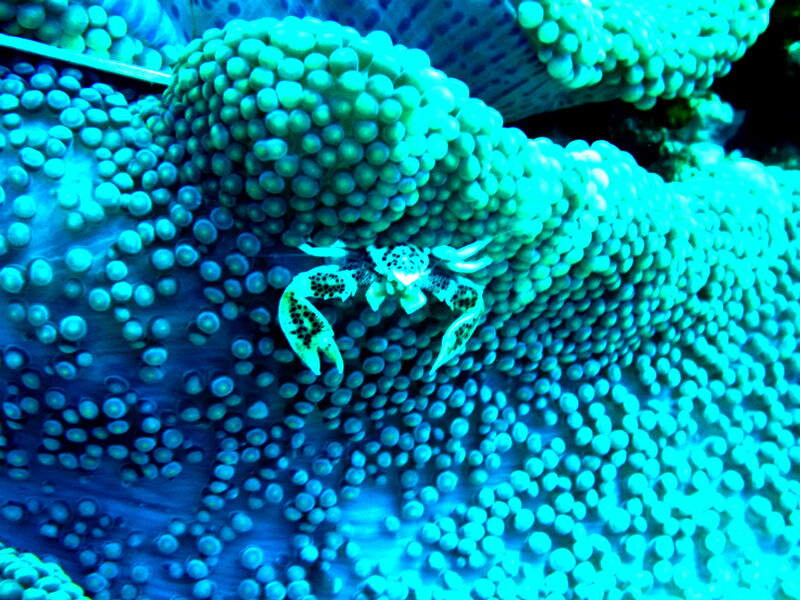 Together with my dive guide, I immersed myself with the cold afternoon waters and went deep down, unto a colourful reef punctuated by invertebrates as I passed by. 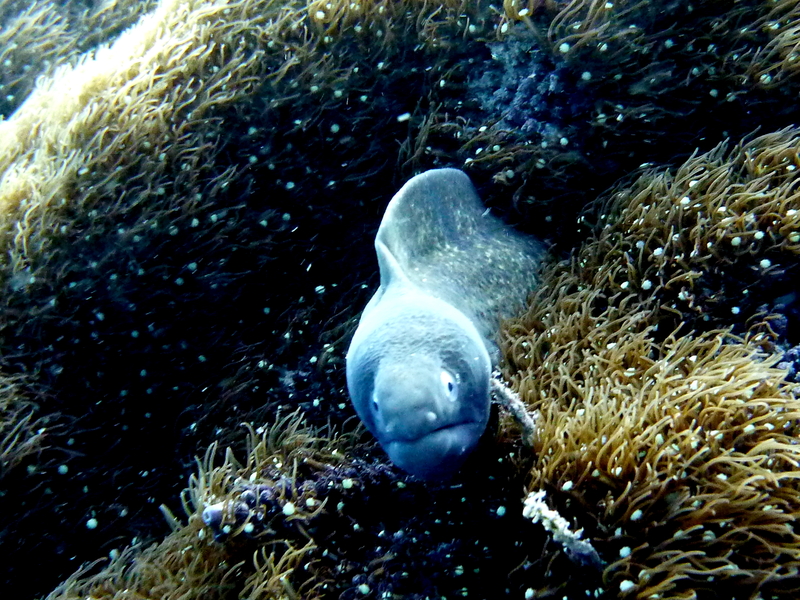 A moray eel lurking on soft coral, went out gawking at me perhaps wondering what kind of fish I am! Then we moved to a sandy ground decorated with green sea grasses and those big thorny brownish starfish. There were patches of hard corals as we went along, with tropical fishes hovering around. We ascend after 39 minutes – it was short but has to end sooner for my flight the next day. When we got back to the beach, the place was grueling preparing for the night’s bustle. Dinner tables of the restos were out on the white beach ready for diners. The area started to become more alive as the sun comes down, tourists started to flocked around the beach. blue, blue world - my world! Going back to Bohol again wasn’t my priority, but my dive buddy requested for it so I arranged things for me to come. He didn’t make it though, but there’s no reason for me to cancel mine. It turned out to have my 100th dive right on the very spot where my passion for life in the depths all started. I wish there will be another hundred dives to come, if not two, three, four or more. And perhaps, I will be back again in Balicasag Island – may be not sooner but for sure I will not wait for a hundred dive before I would set foot again to see more of its depths!